As the sole WADA-approved doping control laboratory in Japan,the company offers a range of testing services for both domestic and international clients. 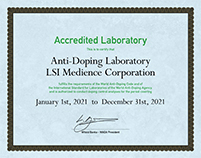 LSI Medience was the first organization in Asia to be accredited as a doping control laboratory by the World Anti-Doping Agency (WADA), and remains the only WADA-accredited laboratory in Japan. LSI Medience strives to improve its quality in carrying out toxicity and doping testing through acquisition of various accreditations such as the ISO/IEC17025 standard (NATA: world recognised accreditation) for calibration and measurement. This standard allows for test results from our laboratories to be globally accepted. 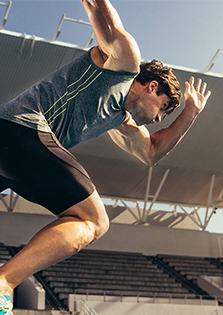 In addition to performing tests on data provided by our extensive list of Japanese domestic clients, we also work on behalf of a range of international clients as part of the company's commitment to contributing to the development of drug-free sports.